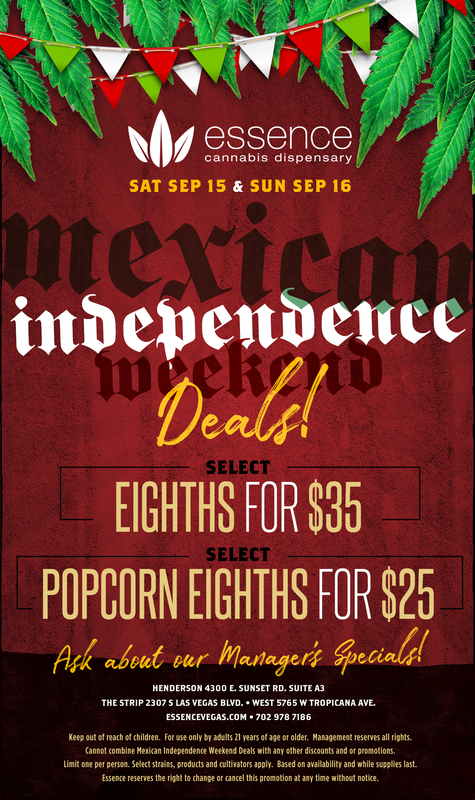 We’ve got a big holiday weekend coming up: Mexican Independence Day! How big is it exactly? As far as Las Vegas goes, it actually rivals New Year’s Eve in terms of the number of concert events that are taking place! So if you’re going to be in Las Vegas this weekend, you’ve got tons of options for music, comedy, dining, and more. Luckily, you’ve also got us, the fine folks here at Essence Cannabis Dispensary, to help you narrow down those options. J-Lo began her residency at Planet Hollywood back in 2016, and it’s a certified smash hit. The show features a 5-piece band, 14 dancers, costumes, sets, lighting, and special effects that will blow your mind. But take note: her residency ends on September 29, so if you’re in town this coming weekend, catch the show on September 15 and 16! There’s a reason why the words “Enrique Iglesias” and “Latin heartthrob” almost always appear in the same sentence. If you’re down to see the heartthrob himself in action, he’ll be performing at The Colosseum at Caesar’s Palace on September 15 and 16. Santana will be at the iconic House of Blues at Mandalay Bay Resort and Casino on September 14-16. But if you end up missing this performance, don’t worry! He’ll be back at the Mandalay Bay on September 19. Gabriel Iglesias (a.ka. “Fluffy”) is bringing his comic stylings to Sin City! The star of “Fluffy Breaks Even” will be performing at the Mirage Hotel and Casino on September 15-16. Saturday night, September 15. The T-Mobile Arena. Canelo Alvarez and Gennady Golvokin are going head-to-head once again. Their last fight ended in a controversial split draw. This time, they’re both determined to win a decisive victory. We’ll see what happens! On Sunday, Sept. 16, Beer Park will be offering street tacos for $5 each (carne asada, pork, and chicken) along with Mexican-style hot dogs – Bavarian sausages wrapped in bacon with onion, mayo, and jalapeño. Chayo has a wide selection of tequilas and Mexican culinary delights: we’re talking sweet corn enchiladas, blackened salmon tacos, fried ice cream, and more! This weekend, they’ll also feature performances from a live mariachi band and DJ. 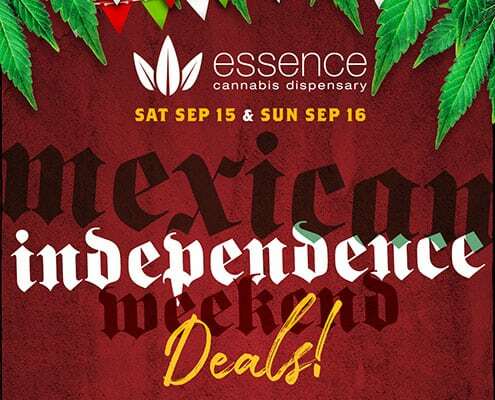 Be sure to stop by Essence Cannabis Dispensary first! Whether it’s food, entertainment, or just general celebrating, cannabis always makes things better! We’ve got over 50 different flower strains, plus edibles, pre-rolls, disposable vape pens, and cartridges. It’s the widest selection of products you’ll find anywhere in the city, so come check us out! Our Las Vegas Strip location is open until 3 AM.